Elegant Stripe pen Twist action metal ball pen(popular style),Twist action promotional metal ballpoint pen. 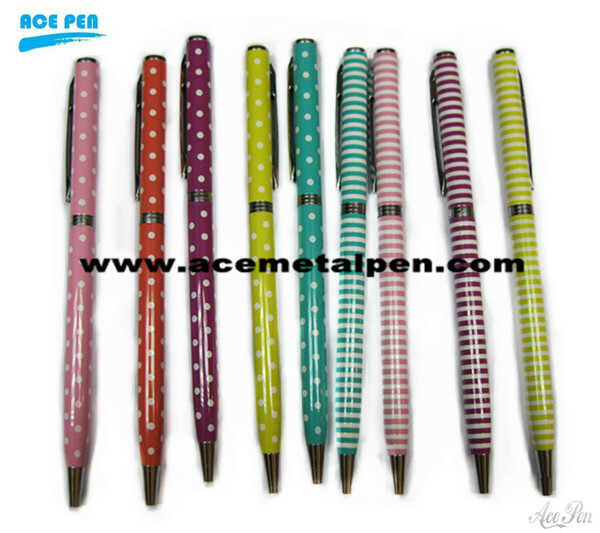 Ace pen offers a variety of promotion & gift pens with materials ranging from metal,acrylic, carbon fiber,leather, wood and others. We can imprint your logo or some pattern on pen with silk-screen printing, pad printing,transfer printing and set color printing.